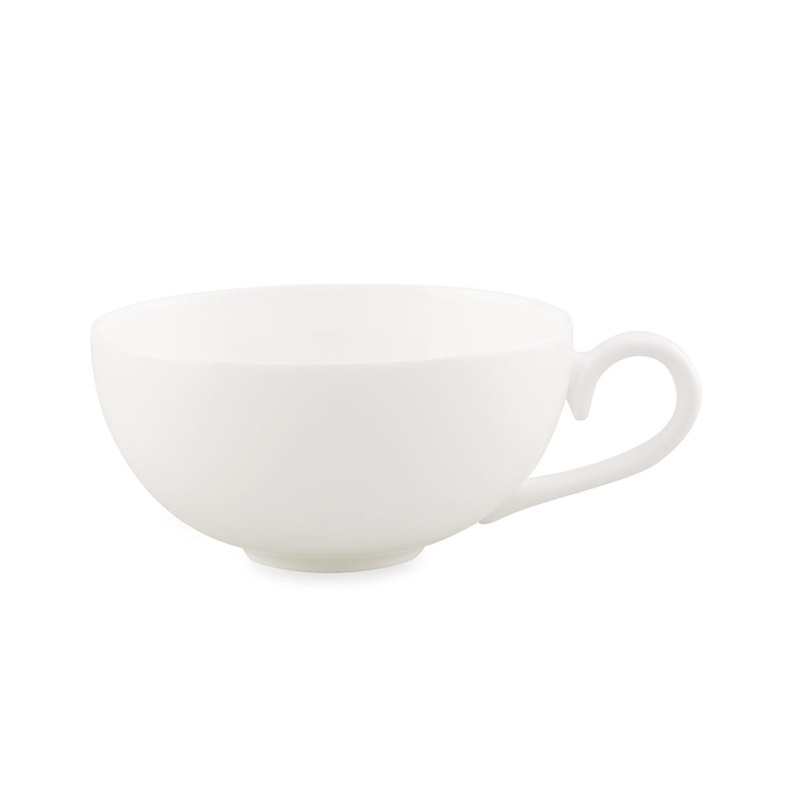 The Royal tea cup is proposed by Villeroy & Boch for an elegant tea-break. The tea cup is the absolute protagonist of the Royal tea collection by Villeroy & Boch, used to offer a fragrant cup of tea to your guests or to enjoy it by yourself. The tea ritual has ancient roots and involves performing specific gestures in order to savour the essence of tea at its best. 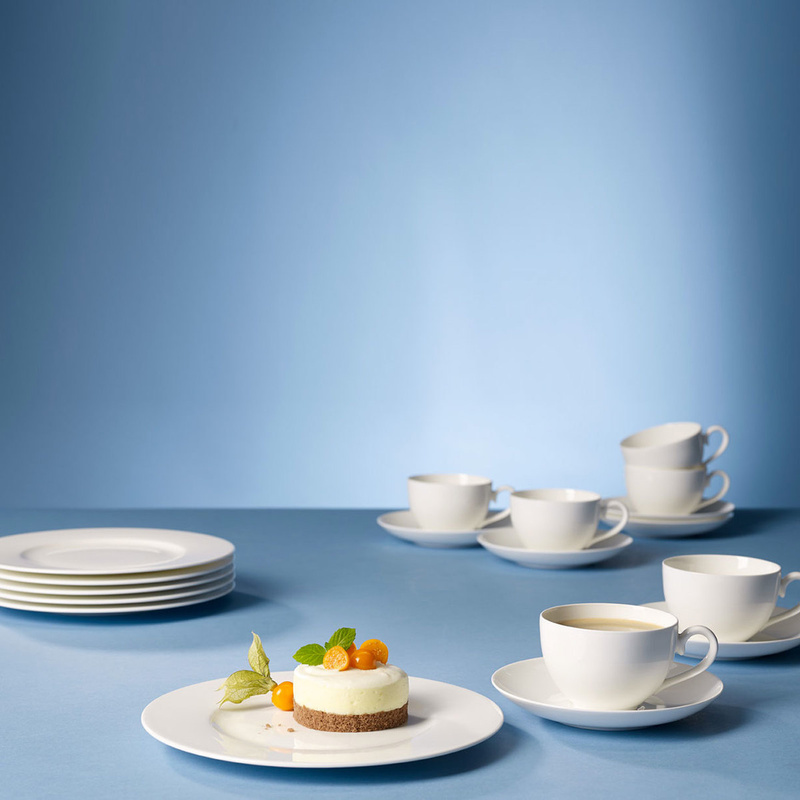 Villeroy & Boch interprets the Royal cup in the name of tradition, offering a smooth, rounded object, of British inspiration as a tribute to the Queen and the whole royal family. The fine porcelain is total white, with a strong visual impact, and it is robust, resistant and dishwasher safe; in addition it won't lose its brilliance over time. The material is able to preserve the warmth of the drinks that the cup contains, enhancing its organoleptic values. The Royal tea cup belongs to the Villeroy & Boch brand collection and is the perfect gift for tea lovers to enjoy their favourite tea or herbal tea during the day or in the evening. A unique object of its kind, besides being useful it can also be exhibited as a highly decorative element. Villeroy & Boch, within its collection, gives a relevant place to classic porcelain objects recalling the past, and this choice had and still has a great success among people nostalgic of the past times but also among lovers of beautiful and refined objects. The tea cup Royal is a perfect example of workmanship, using materials in a conscious and balanced way. This object forms part of a complete tea set, but it can also be used alone, depending on tastes and needs. Certainly, the best effect is obtained in combination with other elements of the Royal collection, so we recommend the purchase also of the other elements in such a way as to have all the accessories for the preparation of the tea.